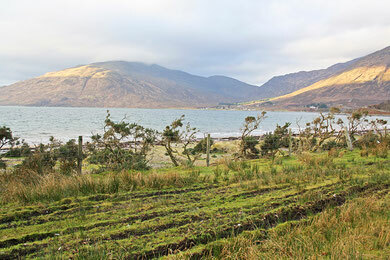 Building Plot with uninterrupted views over the Bay of Glenelg and the Sound of Sleat. The site extends to approximately 0.4 acres and is the last site to be sold of a small three plot development. Private drainage and water supply.